The CB500X® Portable Charcoal Grill from Char-Broil® is perfect for on-the-go, anywhere grilling. 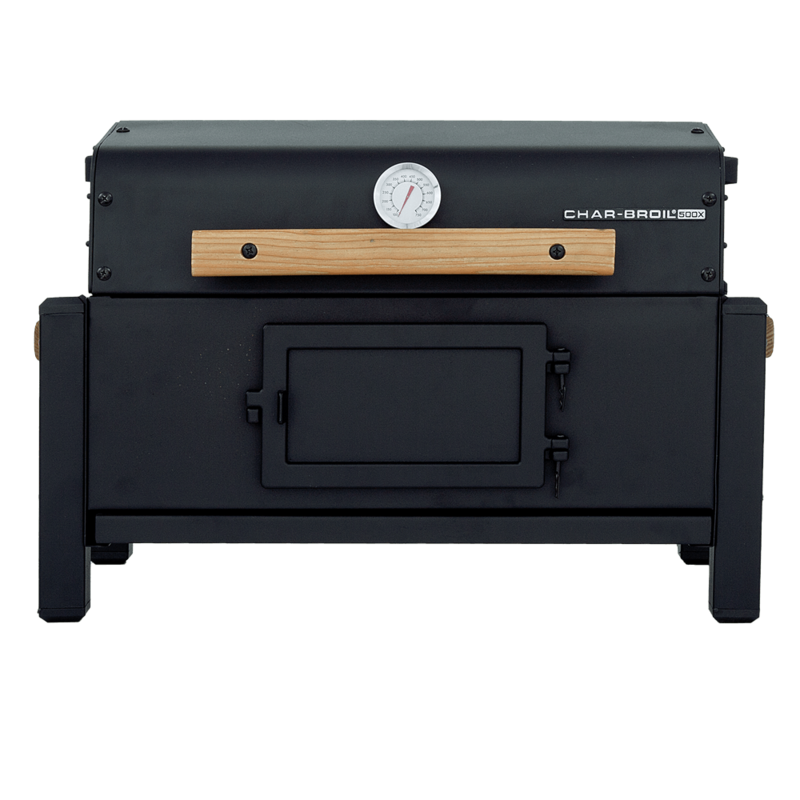 This grill has all the must-have features for a charcoal grill integrated into a portable, easy to transport design; including attractive wood carrying handles, an adjustable fire grate & dampers, a removable ash pan, and a lid mounted temperature gauge. Control the grill temperature by opening and closing the dampers. To burn hotter keep the damper open, to lower the temperature, partially close it.